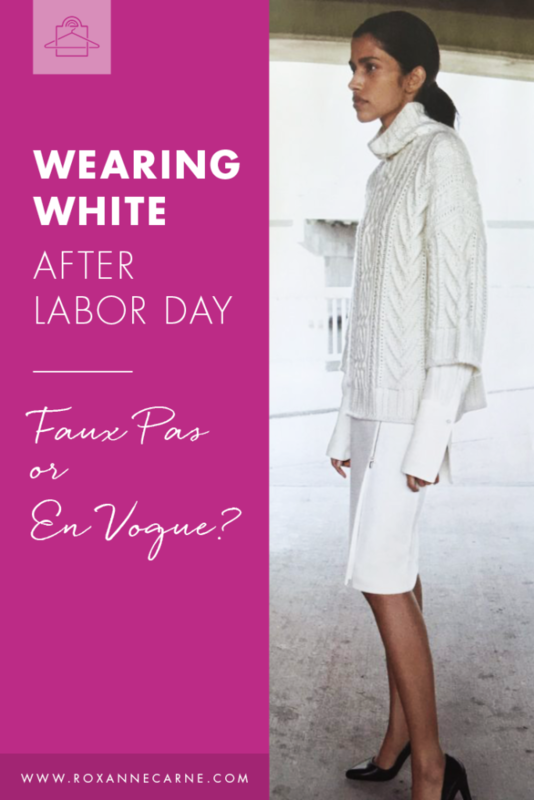 Wearing White After Labor Day: Faux Pas or En Vogue? During a wardrobe fitting this past week (love these! ), my client asked for my thoughts surrounding the unwritten ‘rule’ of not being able to wear white after Labor Day. Oooh, this is a good one! For as long as I can remember (all the way back to my elementary school days), this fashion rule was a big no-no to break. At the time you weren’t considered ‘cool’ or ‘hip’ if you wore white (especially shoes) between Labor Day and Memorial Day. Yes, those two holidays mark unofficial the end and beginning of summer, but should they define exact colors of clothing you should or shouldn’t wear? Rock White All Year Long! 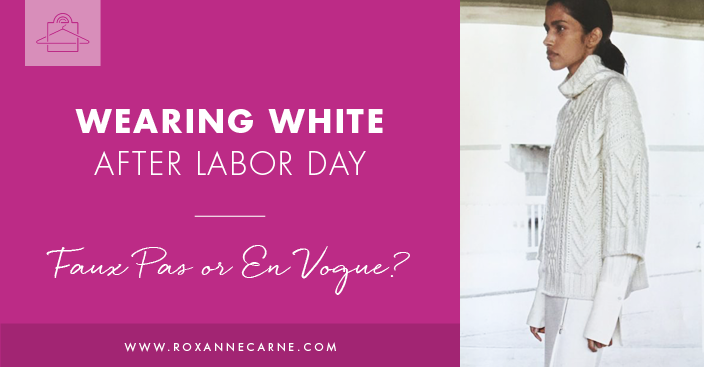 I’ll tell you what I told my client – absolutely YES, you can wear white after Labor Day! Why not? White is not directly synonymous with warmth and sunshine – it’s a neutral that can be worn any darn time you please. If you’ve paid money for your white clothes, shoes, handbags, or accessories, you shouldn’t be limited by when others think you should wear it. White is such a beautiful, classic, and sophisticated color, you’d be limiting yourself by not wearing it when you desire. Makes sense, right? Check out this beautiful ensemble from Max Mara’s Fall 2016 Collection – it's all white! White-on-white is still very much en vogue and definitely NOT a faux pas for the fall/winter season. Here’s another very pretty casual look that also layers white-on-white – this is from Fabiana Filippi’s Fall 2016 Collection. Need some personal style inspiration in your life but can’t do it alone? Contact me here or at 855-877-8953 for a complimentary 30-minute phone consultation to discover how I can help you begin your Personal Style Discovery!